One of the most prominent football leagues in the world will use Hawk-Eye goal line technology during the 2013-14 season. At last. Voted on by top-flight English Premier League clubs, the decision signals a big shift in the growing technology debate, and will (hopefully) mean we'll never wonder if a ball did or didn't cross the line. 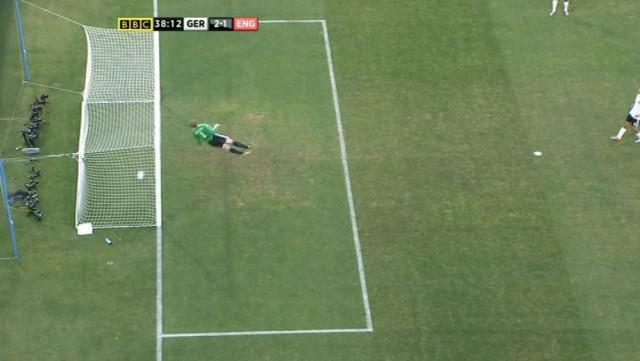 While instances of goal-line decisions are few and far between, many have called on the assistance of technology systems ever since Frank Lampard was denied a clear goal against Germany during the World Cup in 2010. On the biggest stage in front of millions of people, human error was ingloriously laid bare as Lampard's shot, without any doubt, crossed Manuel Neuer's line. It was an incredible injustice, and further highlighted the need for FIFA to act. Twenty of England's top stadiums will begin installing the camera-based ball-tracking system soon. In addition, Hawk-Eye will be used at England's hallowed Wembley Stadium for big showpiece matches. Other systems were considered by the Football Association, including GoalControl, which FIFA chose to use during the World Cup in Brazil next year. But it was Hawk-Eye's experience that won out. U.K.-based Hawk-Eye has previously deployed its technology in tennis and cricket matches, where the company has proved accuracy down to the millimeter. The company plans to use that experience and utilize a seven camera per goal system, which will alert match officials through a wrist watch one second after a ball crosses the line. "Hawk-Eye is delighted to be the partner that the Barclays Premier League trusts to deliver accurate and reliable goal-line technology. We understand the responsibility that we have been given, and that the real challenge lies ahead in consistently delivering the technology that football deserves," said Paul Hawkins, inventor of Hawk-Eye. Once the technology is deployed, the league says it will make Hawk-Eye replays available to broadcasters and possibly even in-stadium big-screens.